Oh, video game movies. They constantly struggle to keep actors, writers, directors, and even studios attached to them, and once they finally are released to the public, they are generally really bad. Metal Gear Solid, BioShock, Uncharted… do we really expect much out of any of these? The latest video game adaptation is another in a long list of films Hollywood is threatening to make that might be best left as video games. Sony Pictures is adapting the 2005 classic Shadow of the Colossus, and with it comes a brand new director attached to the project. Andrés Muschietti is best known for directing the 2013 Spanish horror film Mama, his only feature film to date. He replaces Chronicle director Josh Trank after he moved on to direct one of the Star Wars spin-offs. Wise career decision, I would think. 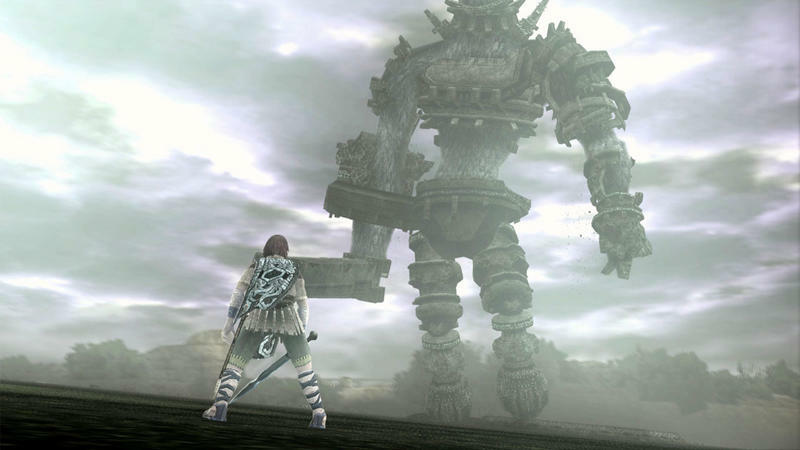 Sony describes Shadow of the Colossus as "set in an epic-scale world filled with mythic giants and disembodied spirits," and Muschietti, a self proclaimed fan of the game says, he "has a strong vision for the film and its characters, and seeks to translate the immersive game experience into a film that stays true to the human story of a young man attempting to save his lost love by accomplishing a seemingly impossible task … the destruction of the colossi who roam the forbidden land." "We knew we had our director once we heard Andy's take on the material — it was genius," says Sony Pictures President of Production Michael De Luca. "The themes, characters and supernatural elements of the story have incredible international appeal with fans of the game in the millions." Yawn. Please forgive my cynicism, but the gorgeous, subtle tones of Shadow of the Colossus' loneliness can only be ruined by throwing kiddy-pool Hollywood sentimentalism at it. Never mind that the characters don't speak in the game, meaning that the hero will now be infected with a screenwriting 101 personality, video gaming found a wholly original form of storytelling with this game in 2005, one that really sets itself apart from today's big budget games by not trying to rip-off Hollywood. But not Shadow of the Colossus. One can only imagine the shallow coming-of-age lessons our hero will have to learn while chopping down a cheap CG giant. Hopefully, this one finds its way back into limbo.